• Identical design to #4012-04, ductile iron block, but only one-third the weight! • For tires 35" - 42" diameter. 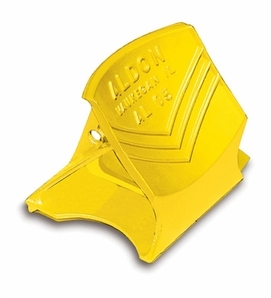 Width 10" x Length 10 1/2" x Height 10 3/4" Yellow powder coat finish. • Always chock on both sides of the vehicle.